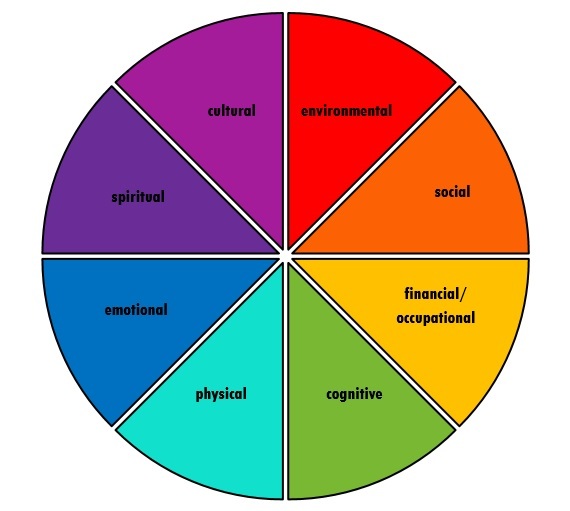 The Child & Youth Health Network has customized a variation of the Wellness Wheel to portray the 8 domains of development for young people. These domains are reflected in our goal, and will form the structure around which we are now building our shared measurement system. Our goal as a network is to optimize the health and wellness of children and youth in the following domains: Cognitive, Physical, Emotional, Spiritual, Cultural, Environmental, Social, and Financial/Occupational. Traditionally, societies have always been concerned with wellness. Preventative, holistic health systems are the foundation of Ancient Wisdom Teachings from around the world, many of which are still practiced today, including Ayurveda, Traditional Chinese Medicine, Yoga and Indigenous shamanic practices. But ‘Wellness’ is a relatively new concept for the Eurowestern worldview. The World Health Organization, without actually using the word ‘wellness’, first defined it as “a state of complete physical, mental and social well-being and not merely the absence of disease and infirmity” in 1948. The first mention of ‘wellness’ in research literature was in 1959, in a visionary paper by Halbert Dunn, who wrote, “the state of being well is not a relatively flat, uninteresting area of ‘unsickness’ but is rather a fascinating and ever-changing panorama of life itself, inviting exploration of its every dimension.” Halbert proposed a health grid which considered health and environment, creating four quadrants that reflected the complex nature of wellness. The health axis included “an area of good health at present largely uncharted and undifferentiated, toward a goal as yet but dimly perceived which is indicated as peak wellness.” (Excitingly, 55 years after Halbert published this paper, we still don’t know what the outer limits of ‘peak wellness’ are). 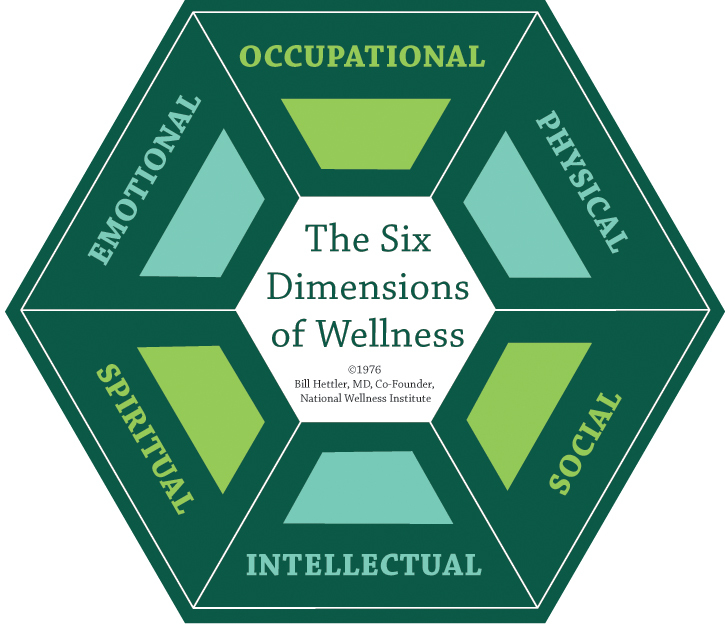 The idea of wellness spread in the 2nd half of the 20th century, until the first ‘Wellness Wheel’ (called the Six Dimensions of Wellness), was developed by Bill Hettler in 1976. You can find his definitions for these six domains here. Variations on this model abound, as many people want to tease out and make explicit other domains of wellness, including cultural, creative, financial, sexual, and/or environmental. The Child & Youth Health Network, we selected 8 domains of wellness for young people (see below). Currently, the shared measurement and evaluation constellation is working to create definitions for each of those domains to bring to the stewardship committee for critique on July 10th. Throughout the summer, we will be working to develop recommendations for outcomes, targets and indicators for each domain. Once developed, these will be shared widely with the community and refined through consultation. Once this process is complete, these 8 domains, with associated outcomes and targets and a set of 15-20 high-leverage indicators, will form the measurement system for the network~.